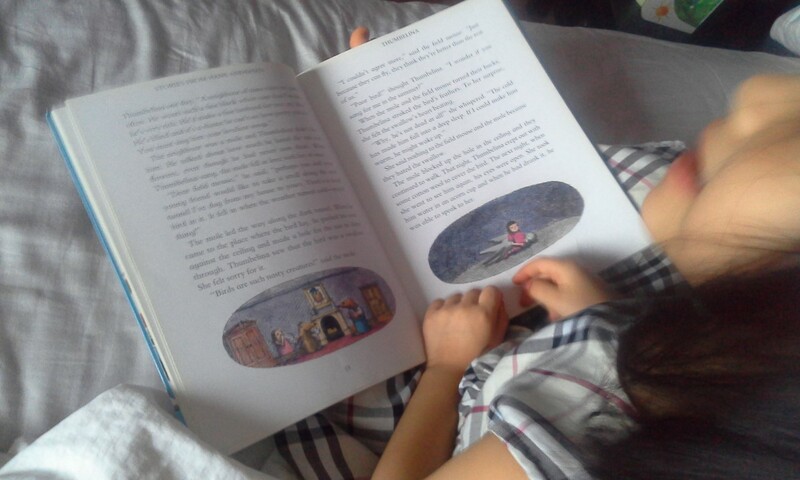 These days, my 5-year-old enjoys reading long stories by herself. She can easily read up to an hour on her own now, if left undisturbed. This book, one of her current favourites, consists of best-loved stories by Hans Andersen, retold by Andrews Matthews. Her journey of learning to read did not begin with phonics lessons. It started with having parents who read quality books to her daily. But that alone is not enough to raise an early reader or book lover, as many parents would know from their own experiences. and a few more which I will share soon.. I should know this pretty well, as a mum of three kids who all began reading before age 4. My experience coaching hundreds of parents and young children through the Bright Minds Lapbooking classes further reinforced my firm beliefs that all children are born geniuses with wonderful potential. When given the right opportunities at the right time, they will always shine! Do follow our Facebook page where I will share more parenting and coaching tips.